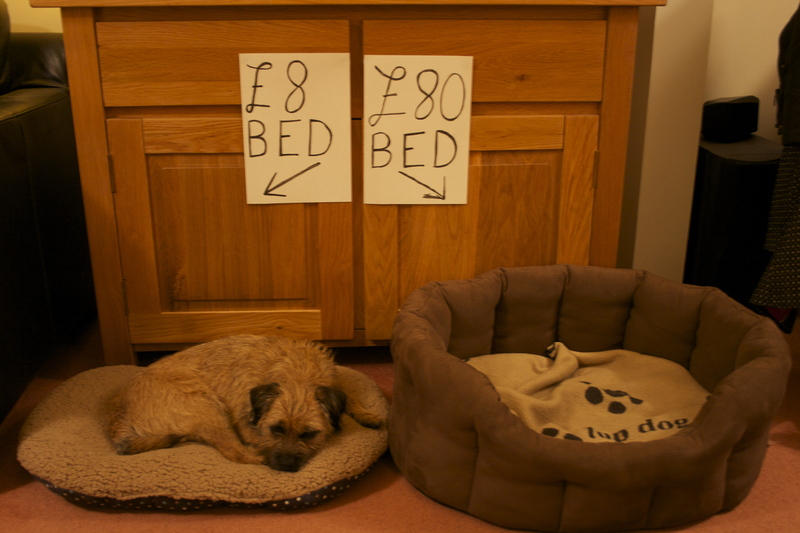 £8 Bed vs £80 Bed. Hey, at least he’s on ONE of the beds. Cats sleep in empty boxes, LOL! And my dog sleeps in MY bed and pushes me out of the way! Our kitten’s favorite place to sleep is our lab-mix’s $80 bed….Our labs favorite spot is the floor right next to wherever I am sitting. put the the cheap bed in the expensive bed. problem solved. send the check to my mom’s house. My dog does the same – which means many expensive dog bed donated to rescues! Oh well. Dogs. Cheap bed to the cat. Expensive owner’s bed to the dog. Owner gets to sleep on the sofa. Problem solved. lol, just like kids who would rather play with a box than the expensive toy that came in it.